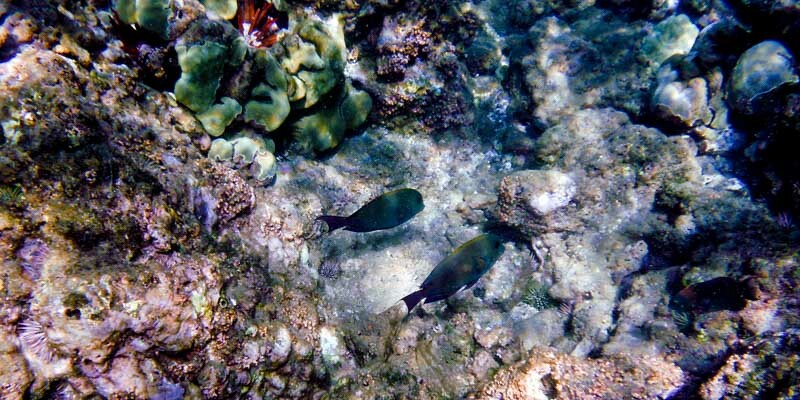 You can snorkel at most beaches in Maui, although many may be cloudy with few fish, turtles, and coral. 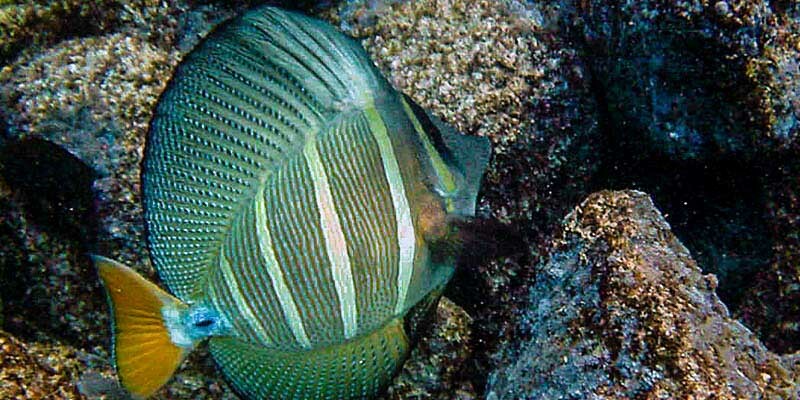 This snorkeling guide and map lists the most popular snorkel spots on the island. That doesn't mean you shouldn't snorkel at other beaches, they could end up being surprisingly good. Time of year, time of day, ocean swells, and weather conditions are all important factors that determine your snorkeling success. 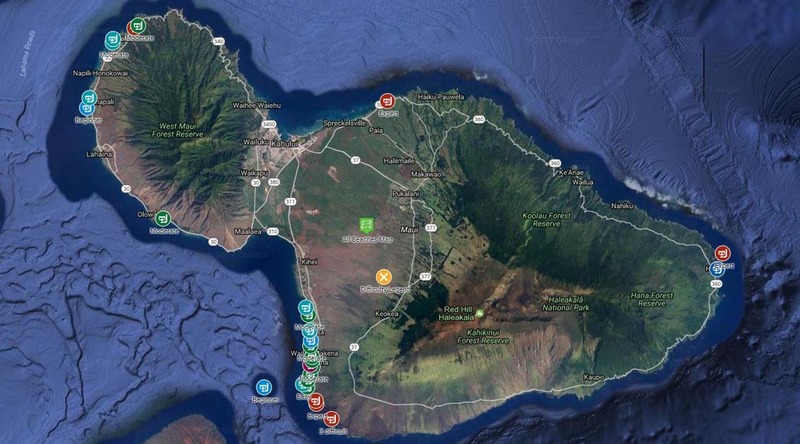 The map is limited to south and west beaches with the exception of Hana Beach. 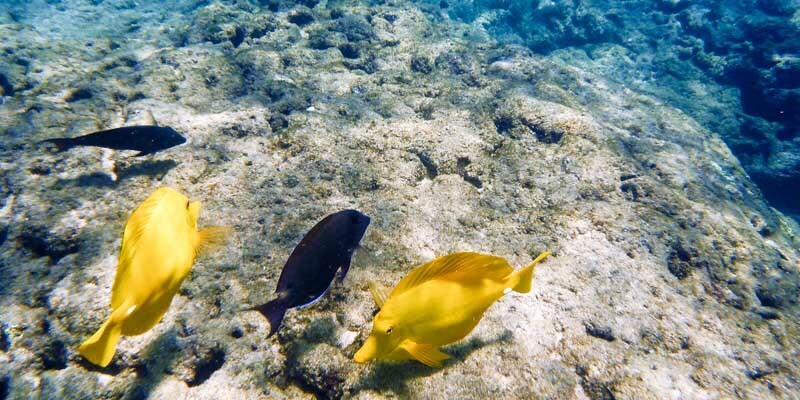 Hana Beach offers great snorkeling and kayak tours to Kaihalulu bay (Red Sand Beach). The rest of the east beaches, while being very scenic, are not that great for snorkeling and can be unsafe. West Maui beaches are known for their white sandy shores . Kapalua Bay and Black Rock (North Kaanapali Beach) are the most popular for families with easy entry, plenty of fish close to shore and calm protected bays. South Maui has the widest variety of beaches from the sandy shores of Wailea to the lava shoreline of la Perouse Bay. 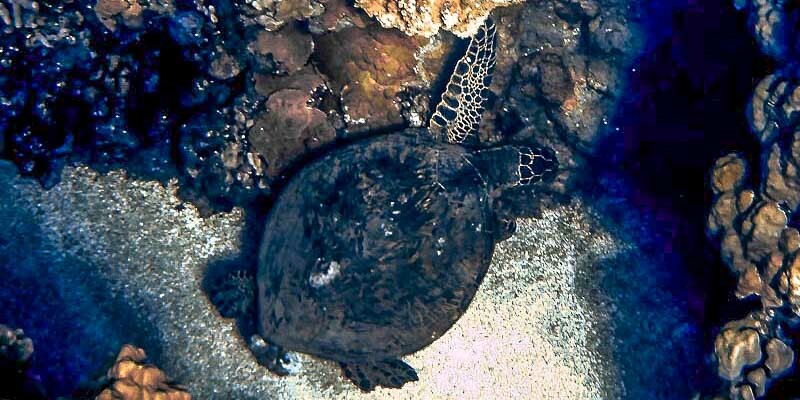 Maluaka Beach (also known as turtle town) has the highest concentration of turtles on the island (although you can find tem at most beaches). 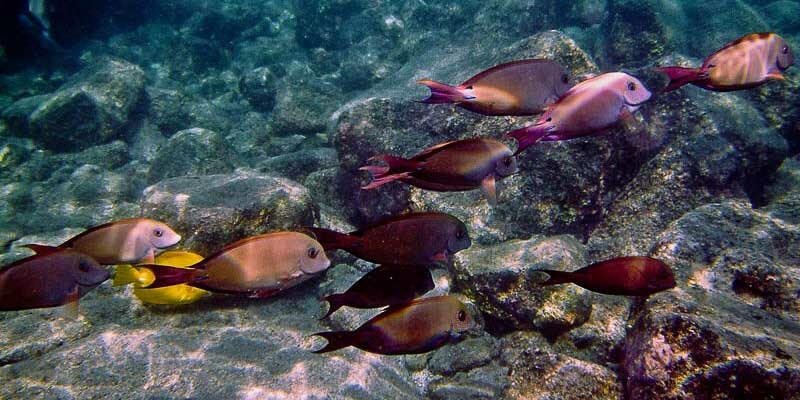 In the east, Hana Bay offers great snorkeling and kayak tours to Kaihalulu bay (Red Sand Beach). Even quiet protected beaches can quickly become dangerous. Always check the local weather conditions before taking off. 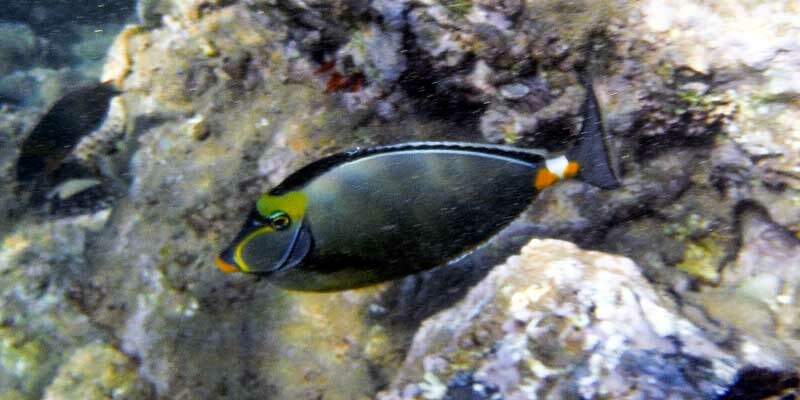 Dive shops are a good source for current snorkel and surf information. Make sure you have the proper snorkel gear. Your snorkel mask should fit snugly (not too tight) with the strap above your ears. Snorkel Flippers should fit tight so there is no chance of losing one while swimming. Dry snorkels allow you to swim in choppy water and dive without letting in water. 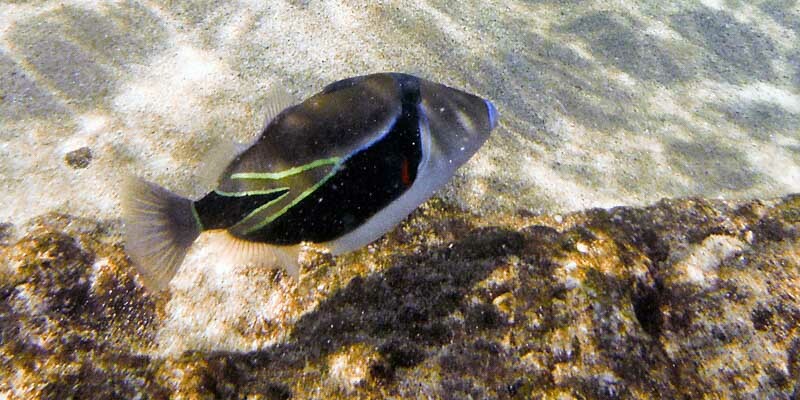 The water in Maui is naturally buoyant so a life vest is not mandatory when snorkeling. If you do tire easy or you are not a good swimmer, then use a life vest. A dive vest inflates and deflates quickly you you can use it for long swims when you want to rest. When snorkeling don't stand on the coral. It best not to stand anywhere, as you may stand on a creature that won't like it, cut yourself and/or damage the fragile coral. Be aware of your surroundings. 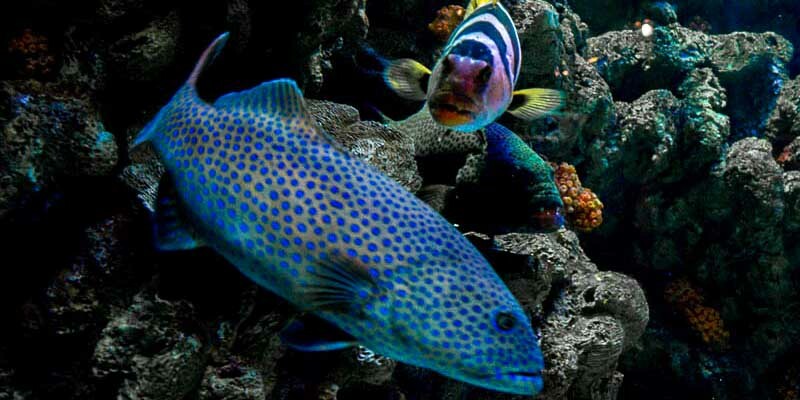 It is easy to drift out to sea or into a reef. 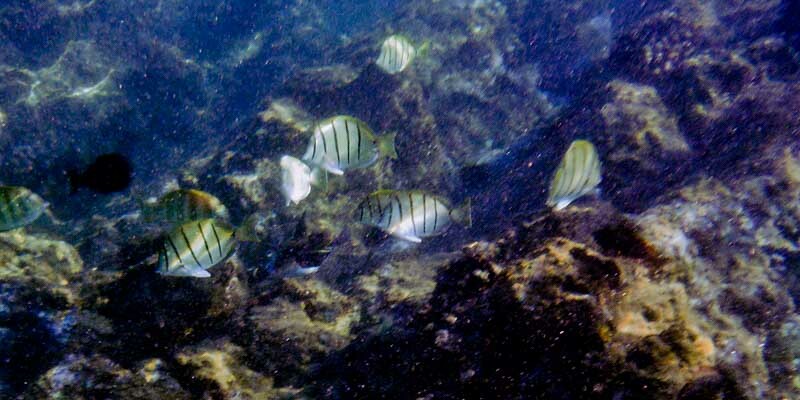 If you hear a strange noise while snorkeling, look up it is probably a boat. Jelly fish and Portuguese Man of War do appear during certain parts of year. The main beaches usually will have signs posted. Bring along a small plastic bottle full of vinegar to apply to the affected area if you get stung. Washing with water just makes it sting worse. Turtles are protected under law. Do not pick up, touch or harass them in any way. When swimming with them never swim directly above them. This scares the turtle and blocks his path to air. If you plan on snorkeling a lot buy your own gear. Prescription Masks are wonderful for eyeglass wearers. Dive boots or socks are a good investment for protecting your feet in and around the water. To keep your snorkel mask from fogging rub a solution of diluted baby shampoo onto the glass, dip in water and put on. In a pinch some good old spit will work as well. 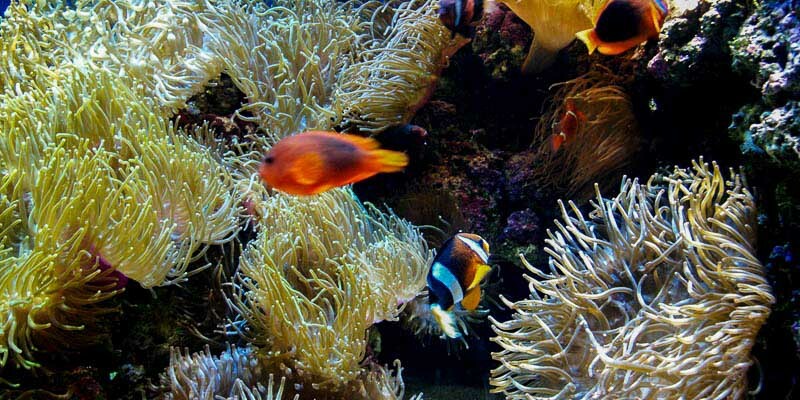 In May 2018, Hawaii became the first state in the nation to pass legislation banning sunscreens containing the chemicals oxybenzone and octinoxate, which destroy coral reefs. Click here for reef safe suntan lotions. The snorkel sites are rated by difficulty: Expert, Moderate, and Beginner. "Expert Sites" do not mean better snorkeling. 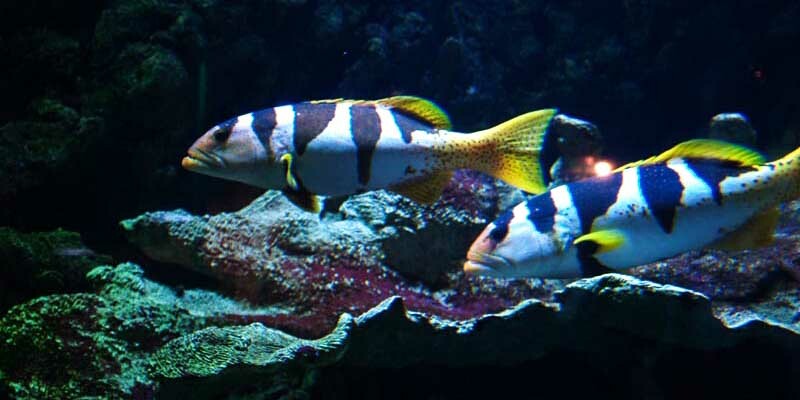 In fact the top 3 spots for fish are all rated for beginner and a good choice for everyone. Some "Expert Snorkel Sites" are rated not because they are dangerous and difficult, but have fragile coral and can be easily damaged. 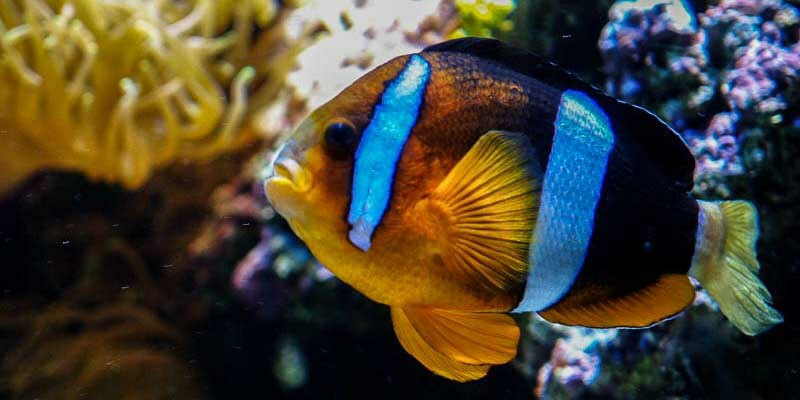 These ratings are only designed to get you the best snorkeling experience no matter what your abilities are. Experienced swimmer and snorkeler in good shape. Must be able to swim long distances and maneuver in shallow water. Water entry tricky with no sand or shallow. Can swim short distances, ages 10 and up. Water entry not difficult with mostly a sandy bottom. Water not clear at shore. may have some current but easy to swim. New to snorkeling and/or poor swimmer. 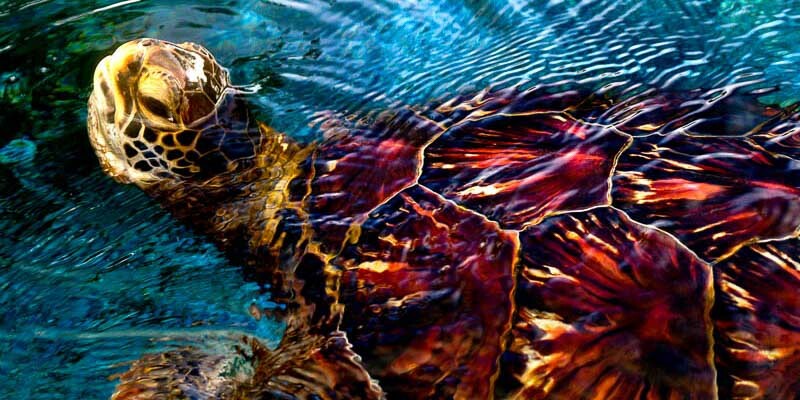 fish/turtles are close to shore. 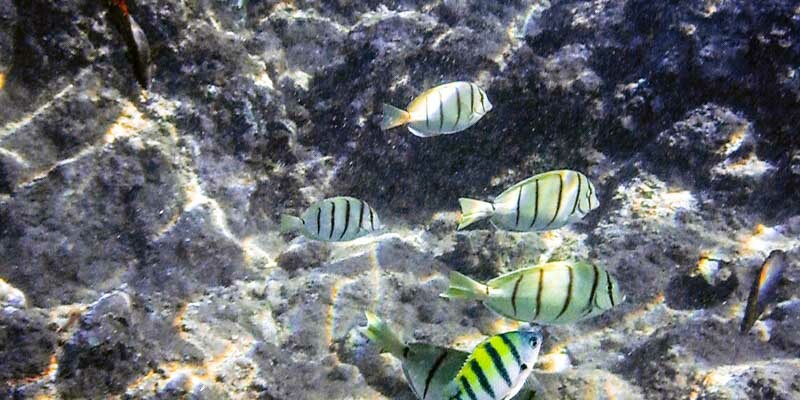 While Maui beaches offer some of the best snorkeling in the world, a few of the best spots are only accessible by boat or strong swimmers. 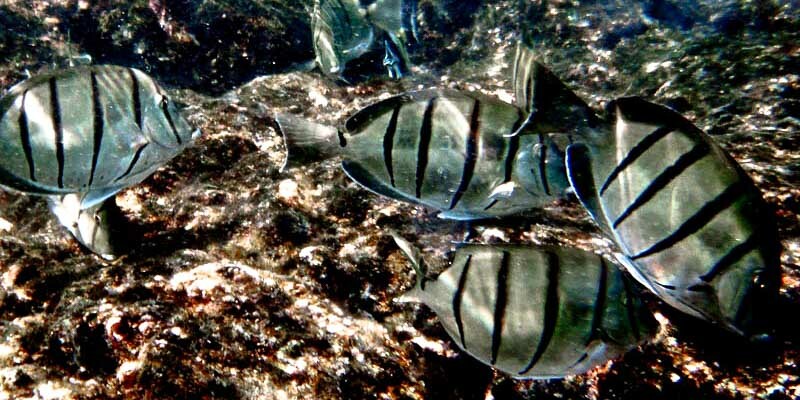 There are plenty of tours available for those looking for a unique snorkeling experience with expert guides. The most popular off shore snokeling is the Molokini Crater. A kayak is the most efficient self-powered water craft. You can move across the water efficiently and have a stable platform to leave your gear and relax on after an exploration of the reefs. 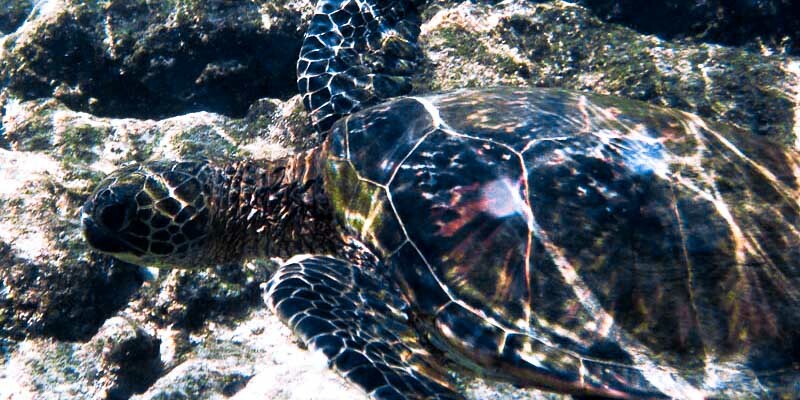 The best place for kayak and snorkeling tours are those that focus on harder to reach areas like the edge of Honolua Bay, Olowalu Turtle Cleaning Station and Makena Turtle Town. Standing up on a paddle board gives you a perspective that is just awesome of our reefs. Looking down on clear, calm days, you see all the reef life, in it's undisturbed abundance. It makes you want to dive right in. First-timers learning curve is quick so you will be sure to have a good time on a SUP Snorkel Tour. This Hawaiian Outrigger Canoeing uniquely experience comes with a little bit of cultural education which makes what you see on the reef so much more interesting. Canoe out to some of the same spots as you would a kayak except that you can have fun as a group, even do some Canoe surfing too! There are a lot of advantages to a small raft. Especially those that leave from the Kihei Boat Ramp. The distance to Molokini is a lot shorter and the rafts can go faster than the boats coming out of the main harbor. A Molokini Snorkeling Tour with Redline Rafting takes you not only inside the crater where the other boats go but to the backside as well. Snorkeling the wall and riding the Hawaiian Elevator is very cool addition to swimming inside the submerged crater. 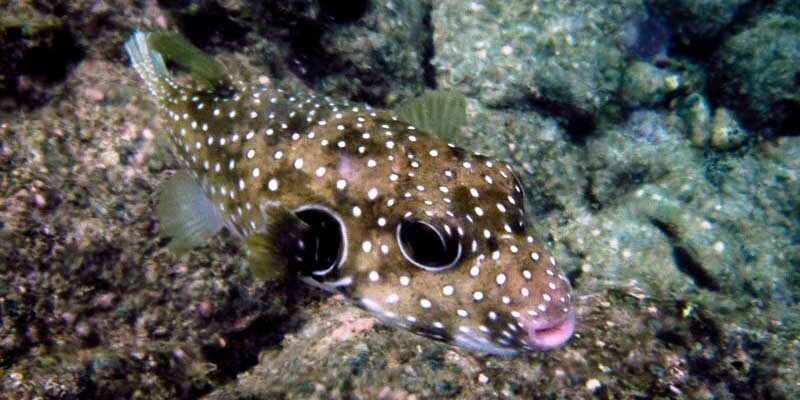 If you are looking for a small boat snorkel tour try mauiboattrips.com, they offer personal small group snorkel excursions around the island . A lot of people have issues with the ocean movement and do much better on the big boats. They are geared towards overall comfort and being enjoyable for those not going in the water. This is perfect for families and larger groups who need the space and options. A big boat like the Pride of Maui, doesn't have as many options as the smaller boats but there is enough great snorkeling spots that everyone has a great experience.